Will we ever stop talking about Ikea’s marketing? Probably not. 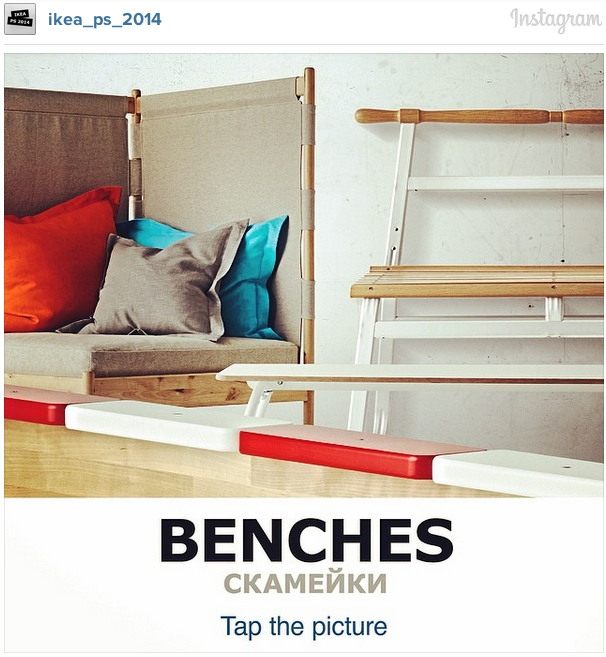 Now, the company’s Russian agency has thought up a new use for Instagram, launching an account that functions like a website. Click on any of the 34 pictures featured, and you are directed to an account devoted to that piece of furniture. Thanks for the new strategy, Ikea!